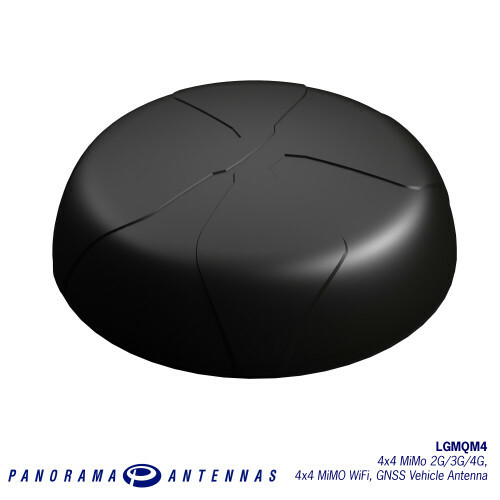 The LGMQM4 is a range of high-performance MiMo antennas covering 698-3800MHz as well as offering 2x2 / 3x3 or 4x4 MiMo/Diversity at 2.4/5.0GHz and a GNSS antenna. The Panorama L[G]M[Q]M4 low profile MiMo antenna range has been designed to support the next generation of vehicular LTE routers with 4x4 MiMo. 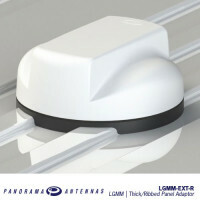 The antenna enclosure can provide up to nine antenna elements. All versions have four ultra-wideband elements for 698-3800MHz which support MiMo function for 4G/5G & cellular bands. 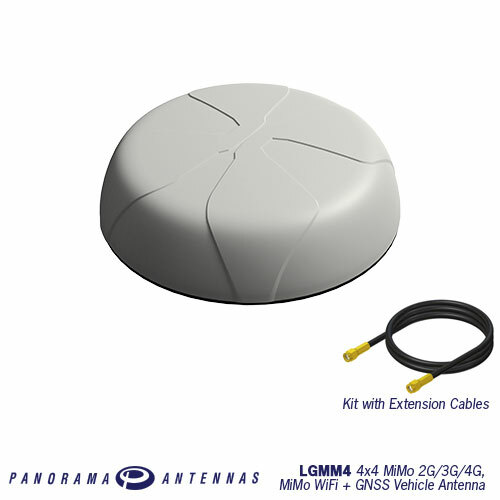 LG versions offer a GNSS antenna which has a 26dB gain LNA with high performance filtering for reliable operation. Variants are also available which include 2, 3 or 4 dual band 2.4/4.9-6GHz WiFi elements for MiMo function designated by the suffix 24-58. The GNSS antenna module carries an E11 Mark type approval under ECE R10.4, and the cables are certified to ECE 118.01. Although the LTE elements are designed for 4x4 MiMo operation, it is possible to utilise these as 2 pairs of 2x2 MiMo for a router that has 2 SIMS (radio) in a failover configuration (i.e. only one SIM active at any time). As this configuration is using only 2 out of the 4 antennas for a single SIM, the network coverage should be checked to ensure that this use is suitable. Guidance on correct connection of the LTE antennas is provided in the installation instructions. 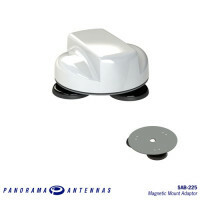 Please Note: This antenna is not intended for use with a router that has 2 SIMS to provide concurrent or aggregated data operation, as there is not sufficient isolation between the MiMo pairs. 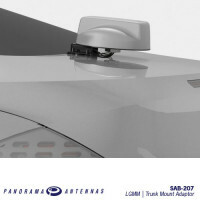 For use with the LGMM/LPMM low profile MIMO antenna series, the LGMM-EXT provides a flexible mounti..
For use with the LGMM/LPMM low profile MiMo antenna series, the SAB-207 provides a convenient ‘no-ho..